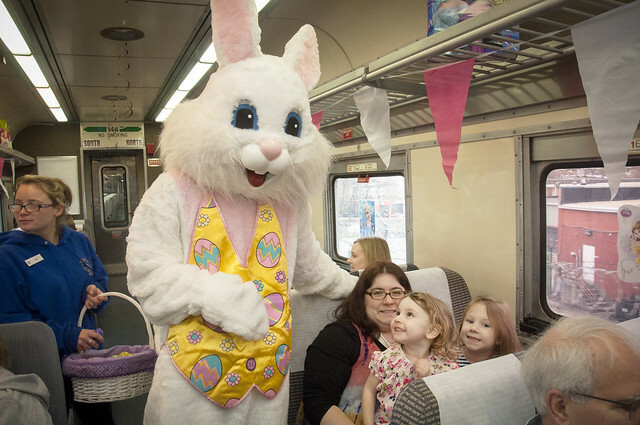 Hop on board the B&O's Mile One Express train ride with the Easter Bunny for a special treat! Each child receives an Easter egg filled with a special prize. Visitors can also stop by the Maryland 529 information table to learn how to save for your child's future education with the Maryland 529 plans. There will be some fun giveaways and you may be eligible to receive a $250 or $500 contribution to a Maryland College Investment Plan account from the State through the Save4College State Contribution Program. To learn more about the program and how to apply, visit maryland529.com/Save4College. All Aboard! Enjoy a pleasant Easter train ride on the Mile One Express with the Easter Bunny, along the nation's first mile of commercial railroad!